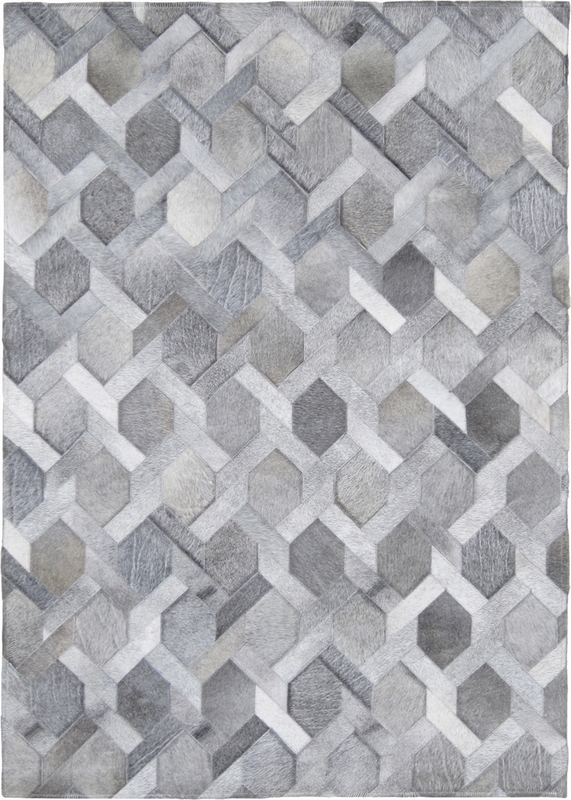 The dramatic pattern of this this rich and beautiful Grey hide rug makes an elegant statement and will surely be admired. The sophisticated and intrequing design of the chain link pattern in all different shades of grays will surely liven and enhance any room. Available and stocked in these sizes: 4x6 5x8 6x9 8x10 9x12 Custom sizes and color can be made, please contact us to inquire. These cow-hide rugs are naturally durable, resistant to liquid, dirt and stains and are easy to clean with occasional light vacuuming with the low suction setting and no spinning bristles or sweep with a clean broom. Spots and spills are no problem, just clean with a damp cloth, being careful not to soak the hide. The rug has a durable felt backing on the complete underside to protect your rug for generations. Please read the rest of the care instructions in the “Rug Care” section of the website. IMPORTANT NOTE: • Dimensions of each rug may vary slightly (smaller or larger) than the standard sizes shown due to finishing and design scaling. It is not more than an inch or two. • Because hide spots, and natural shade of color are created by nature and no two are exactly alike. The artisans work carefully to match the picture shown as closely as possible, but there will be variations. The dyed colors may also vary depending on the original natural color of the hide before it is dyed. Additionally, computer screens and the angle at which you are viewing it may look slightly different than the actual color. • Larger size rugs may have slightly different design dimensions and/or more of the repeated pattern. The overhead photos you see are taken of a 4’x6’ rug.